More on the White House Garden. They are going to plant "55 varieties of vegetables"!!! Virgin Gorda’s The Baths is a great example of how today’s places of beauty are often the sites of past traumas. As the millennia pass, vegetation moves back in and erosion smooths over rough edges. It’s nature’s healing process. There are a number of reasons to hike Southwest Virginia’s Sinking Creek Mountain and here is another one! You’ll get to witness earth’s recovery on a small scale. 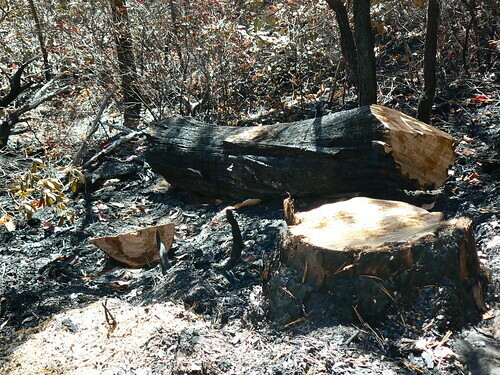 On October 13, 2008, a section of the Appalachian Trail was closed while firefighters tackled a wildfire on Sinking Creek Mountain. 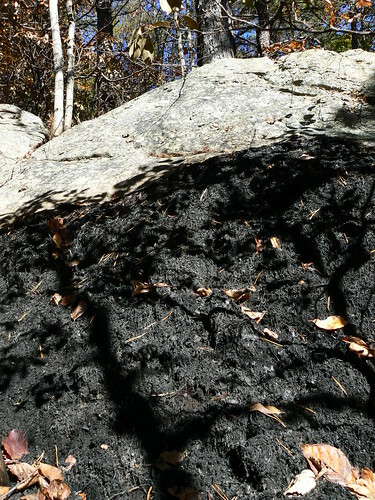 I hiked that section five days after the fire. The damage was about 0.5 – 0.75 miles southbound of the Niday Shelter. The air still smelled like a giant camp fire, the trail was lined with charred bark and fallen trees, and the ground was carpeted with blackened pine needles. Forest healing brings forth flora and fauna. 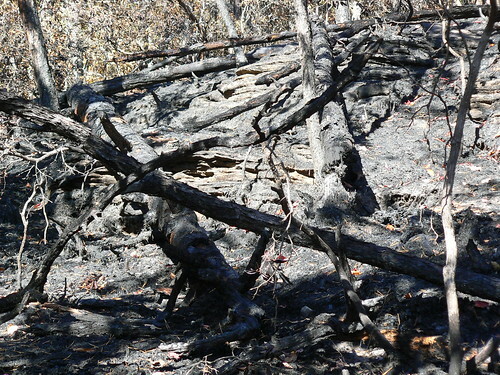 In 2001, Backpacker Magazine discussed the changes one could expect after a fire. As spring arrives in Craig County, Virginia and the surrounding mountains, you can witness the rejuvenation of this section of the Appalachian Trail. You can see the profusion of shrubs and flowers and the influx of animals. And if you make return trips, you can watch the vegetation change, the trees grow larger and the signs of the fire become less noticeable. More pictures of the Sinking Creek Mountain Fire can be found on my Flickr site. If you do head up that way and take pictures, let me know! I would love to see the differences. 2) Turn right on Craig’s Creek Road (VA-621). The Pandapas Pond Turnoff will be on the left hand side of the road. 3) Craig’s Creek Road will turn to gravel, pass Caldwell Fields (worth a stop!) and then eventually turn back to pavement. 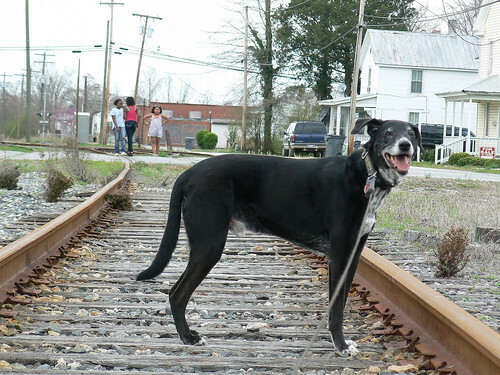 Once it does, the AT crossing will be within a couple of miles. There will be a camping and parking area on the left side of the road. 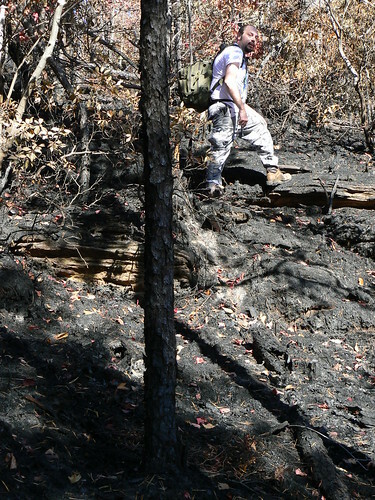 Fire was about 0.5 – 0.75 miles south of Niday Shelter on a rocky ascent. The March-April 2009 issue of AT Journeys includes a great article by Wendy K. Probst entitled “A Remarkable Inheritance“. It’s about Dayton Duncan and his work with Ken Burns on the upcoming PBS documentary The National Parks: America’s Best Idea. In 1959, nine year old Dayton Duncan visited his first national park with his parents. When he was grown with a family of his own, he revisited the parks. 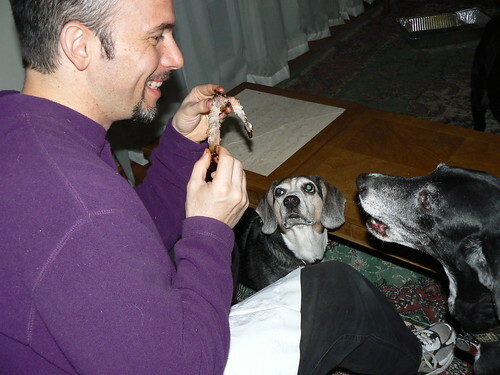 His children were able to take in identical views and share the same experiences their father had as a boy. Meanwhile, Dayton Duncan found himself awed by the consistency of the parks. But sometimes, we don’t want national lands to stay the same. 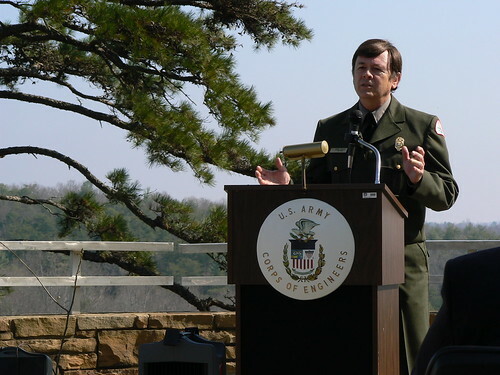 Take the case of the U.S. Army Corps of Engineers’ Philpott Lake in Bassett,Virginia. By the time Congress approved the construction of Philpott Dam in 1944, Virginia’s American Chestnuts had already been ravished by the blight. Patrick County had lost its main cash crop. Gone were the days when wagons were loaded full of nuts and shipped from Bassett. Philpott Dam was completed in 1952 and a new recreation area was born. But it was a recreation area that couldn’t reflect what the forest once was. On March 18th, Ryan Somma and I joined forest rangers, biologists, Friends of Philpott members, teachers, high school students, and two professional RVers at the Philpott Lake Overlook. We were there to witness the planting of one of the American Chestnut Foundation‘s backcrossed trees, a sapling bred to be blight resistant. American Chestnut Foundation President Bryan Burhans also thinks about future park visitors, but a little differently. Your grandchildren someday may sit here at this spot, and the forest may look much different. That is a huge legacy to leave. 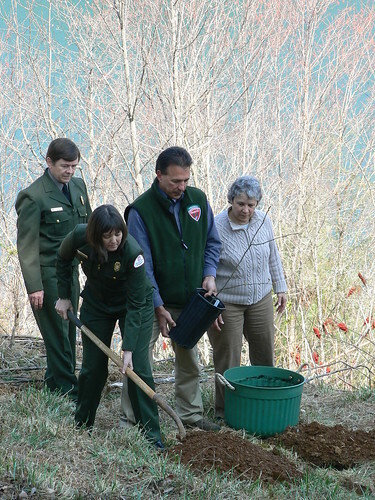 The American Chestnut Foundation strives to return the species to the forests in its native range, including Philpott Lake. 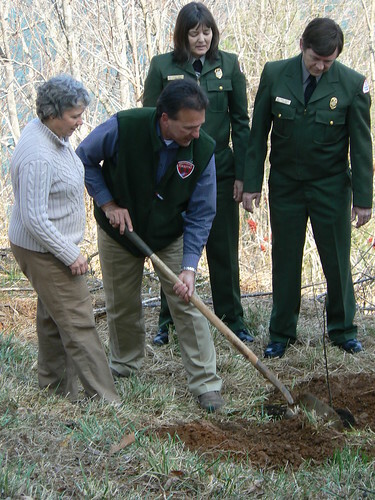 This little sapling was the first of its kind to be planted in Bassett, Virginia, but it is the hope of all involved that one day it will be far from alone. When we gathered at Philpott Lake that Wednesday morning, we weren’t there just to watch the planting of a tree. We were there to celebrate a coming change to the landscape. 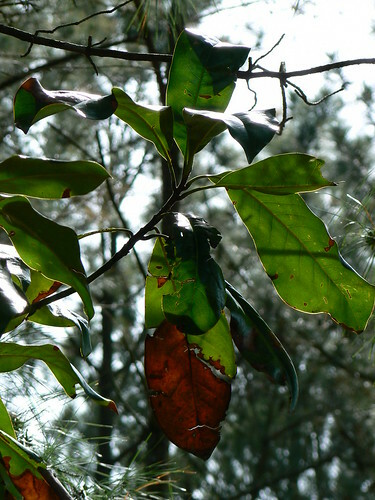 Dayton Duncan described national parks as “one of the last refuges where precious memories can be safely stored from one generation to the next.” Indeed, the American Chestnut Foundation and the staff of Philpott Lake aspire to safeguard memories. It’s just not the memories of adjacent generations. They don’t want to show my children the small, stunted, black-barked chestnut trees I can find in the forest today. Nor what my father could see when he was he was boy. Not even my grandfather was born into a blight-free world. It’s my great grandfather. Those are the memories they want to share. 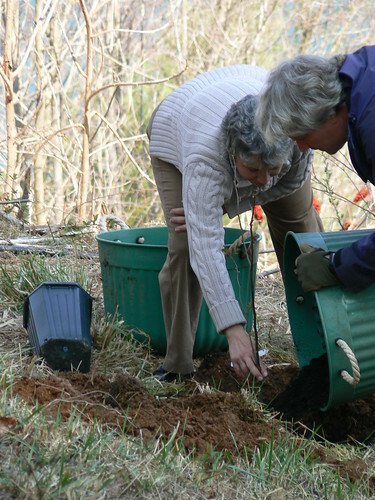 More pictures of the Philpott Lake American Chestnut Planting can be found on my Flickr site. 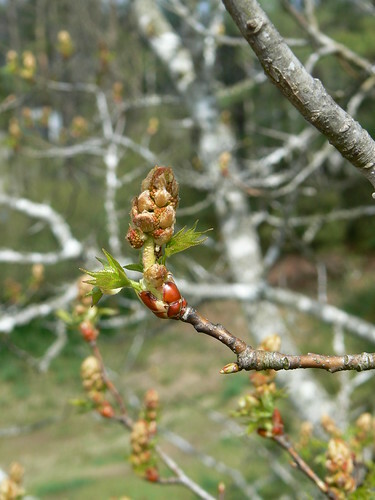 More information about the American Chestnut and its restoration efforts can be found at the American Chestnut Foundation site. 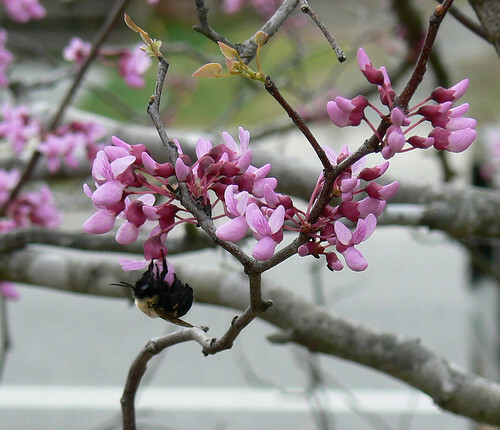 This week’s set includes a remaining shot from my brother’s birthday party in Occoquan, Virginia as well as some shots of spring in Elizabeth City, North Carolina and Hertford, North Carolina. While I was taking these shots a goose startled me when it fled into the water. It turned out she was nesting and quite upset at me. 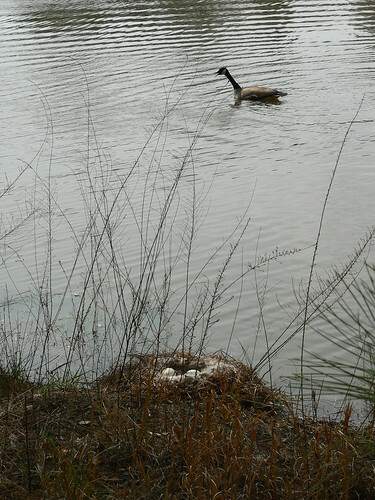 This may not be my most stunning shot– but the goose does look agitated. P.S. Those flowers are edible! 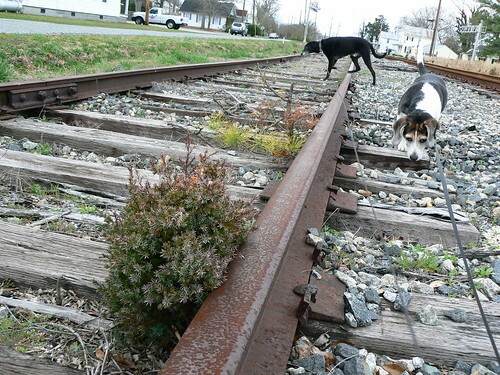 Even with all the beautiful spring blossoms in Hertford, some abandoned railroad tracks managed to catch my eye. More pictures of my brother’s birthday party, Elizabeth City and Hertford are available on my Flickr site. William Kent, you have been dead for 81 years, but I still want to wish you a happy birthday. Thank you for co-writing the act that created the National Park Service in 1916. And thank you for donating the land that would become Muir Woods National Monument. Two more Silo Trees has been added to the Silo Trees of the U.S. listing. Illinois is now up to two different trees and North Carolina just snagged its fourth. 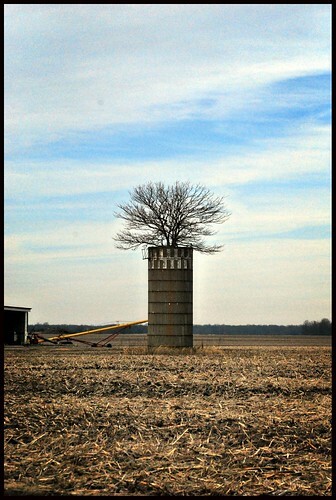 This Greenville silo tree is located in Bond County, Illinois. Photograph courtesy of mkloefflerphoto. This tree is off of NC-150 on McAlister Road near Lincolnton, NC . Photograph courtesy of kackiejane. Have you had a great experience with a park ranger this year? Vote for them for America’s Ranger of the Year (Deadline: March 31, 2009). 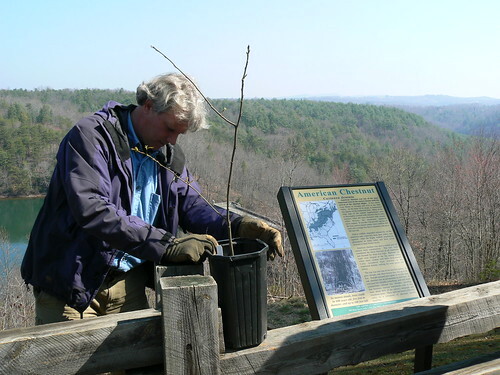 I voted for Danny Martin of Philpott Lake for his work with the American Chestnut planting. Of course, the voting is write-ins. That opens the door for another winner– Stephen Colbert. Colbert’s had quite some success with write-in votes. He’s fresh off his win of NASA’s online contest to name a new room in the International Space Station. “Stephen Colbert” received 230,539 write-in votes. He beat out a NASA provided choice, “Serenity”, by 40,000.